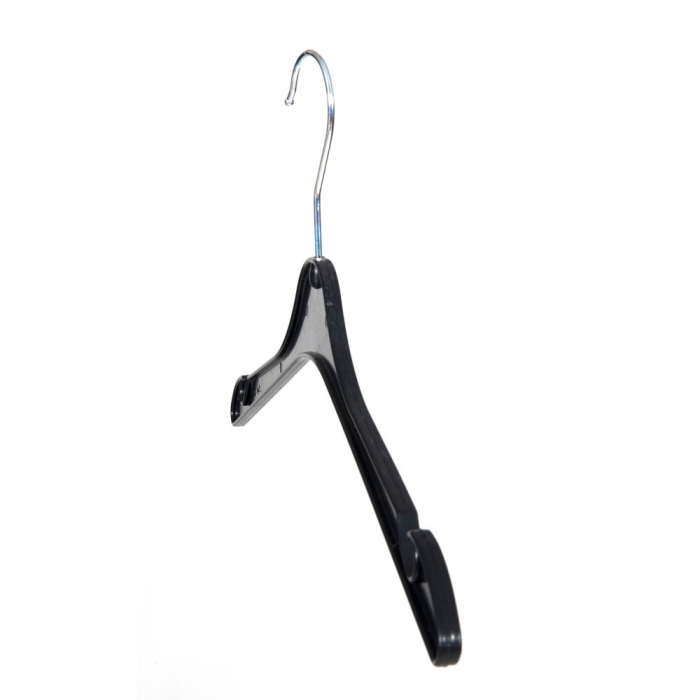 Black Dress/Blouse economy plastic hangers. 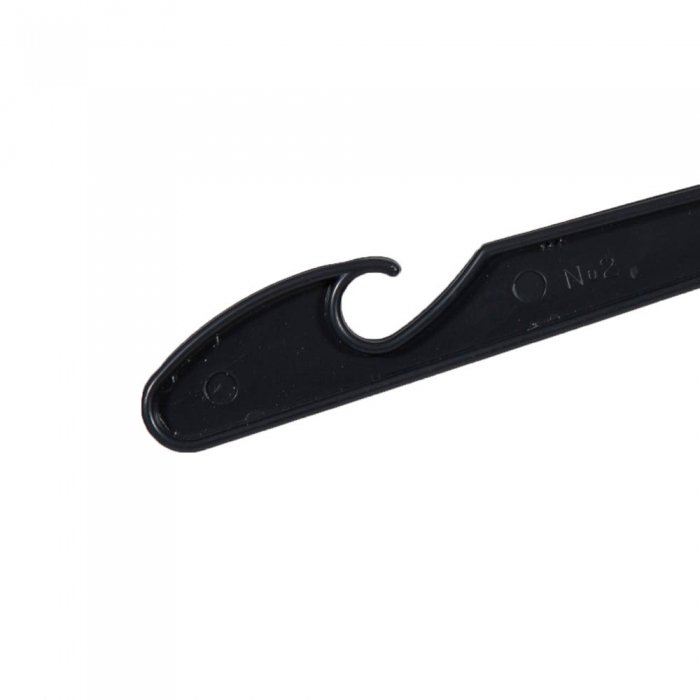 41cm wide with notches. Sold individually. With integral skirt hooks with a chrome hook. 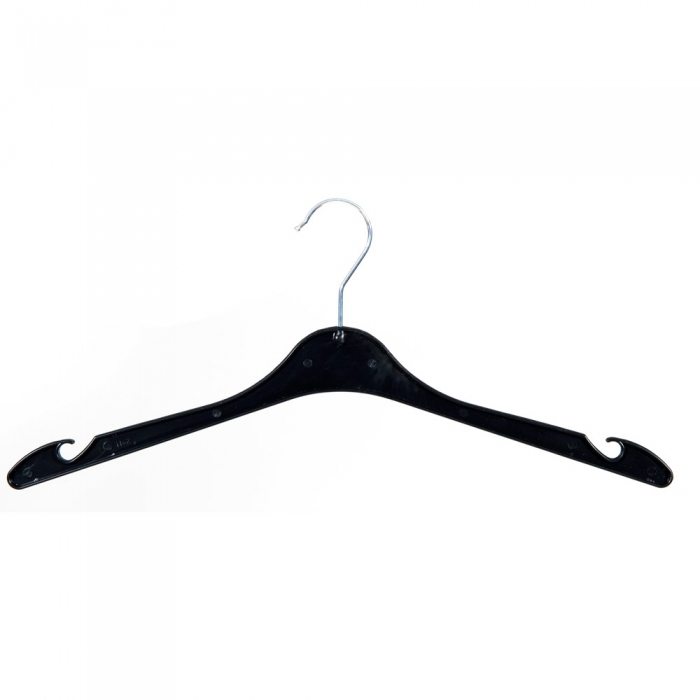 Perfect for the retail environment and sold to retailers throughout the UK and equally suited to the home the plastic dress/blouse hangers are ideal if you require an economy hanger for garments such as Dresses & Blouses with the flexibility to use Skirts also with this type of hanger.